Luis Aparicio (1963-1967) and Ron Hansen (1958-1962). This page contains a single entry from the blog posted on September 24, 2004 11:30 PM. 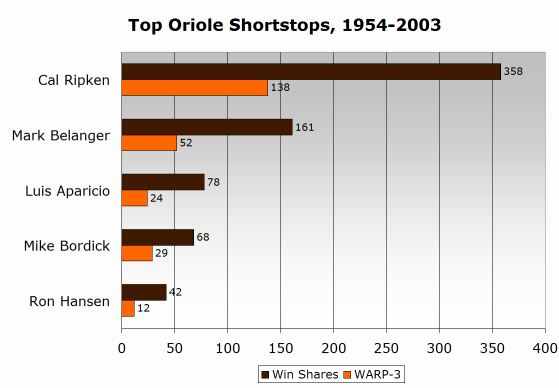 The previous post in this blog was Greatest O's: Third Basemen. The next post in this blog is Greatest O's: Outfielders.